It was a perilous trip to the sideboard across Byron’s library; stepping over piles of books, I successfully managed to keep my skirts out of harm’s way from the numerous lit candles in silver holders scattered about the floor. I made a mental note to myself that it would be healthier to wear trousers on successive voyages. On my way, I happened to notice an unpretentious bottle resting on a small wooden table. Its cork unsuccessfully thrust into the bottleneck, it stood next to a diminutive wine glass that appeared half-full with a golden brown liquor. The label read Laudanum. Hmmm, the tincture of opium – a potent drink of choice and particularly effective in inducing a soporific retreat for poets seeking visions, inspiration and a really good night’s sleep. I picked up the tiny glass. In one quick whiff, I smelled brandy and just a trace of cinnamon. 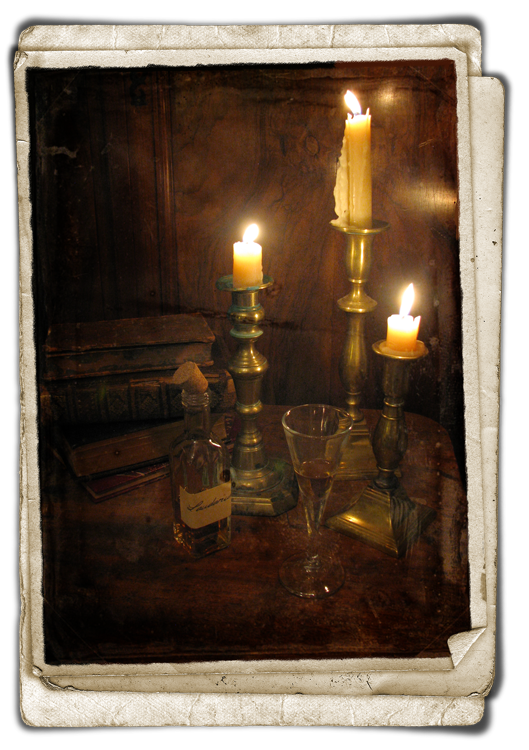 Laudanum is notoriously bitter and was often drunk diffused into a flavored liquor to help hide its wretched taste. Treacherous stuff this laudanum, it was considered the “cure all elixir” for a vast array of ailments ranging from flatulence to teething problems in infants. Percy Bysshe Shelley was known to depend on Laudanum’s languid effects and many believed that Lord Byron’s wild mood swings ensued from his use of the drug. I wondered if Mary’s horrifying dreams were summoned by the laudanum as well. My timing was perfect, although it was nearly dawn, I arrived just after Lord Byron and his guests had retired for the night. Fortunately for me the candles were still lit, it seemed that the servants were unaware that everyone upstairs had finally drifted off to their beds. Those downstairs would be waking up soon enough for breakfast, no need to rush through their own dreams I suppose. A bohemian scene greeted me in the library of the Villa Diodati. Silk pillows lay strewn about on a Persian rug in front of the fire. Claret and sack decanters sat haphazardly about and small, half-filled wine glasses teetered on vast piles of books. A fitting scene for a group of young romantic poets determined to write something terrifying yet witty. A cat sauntered by me. As I absent-mindedly reached down to stroke its head, I was startled by a large bird that flew through the hallway across the open doorway. Apparently Lord Byron’s menagerie had settled in comfortably alongside him at the villa. So, despite the exceedingly dramatic and monstrously electrifying dreams manifesting themselves in Mary’s head upstairs at that very moment, I decided to wander over and peruse the sideboard. 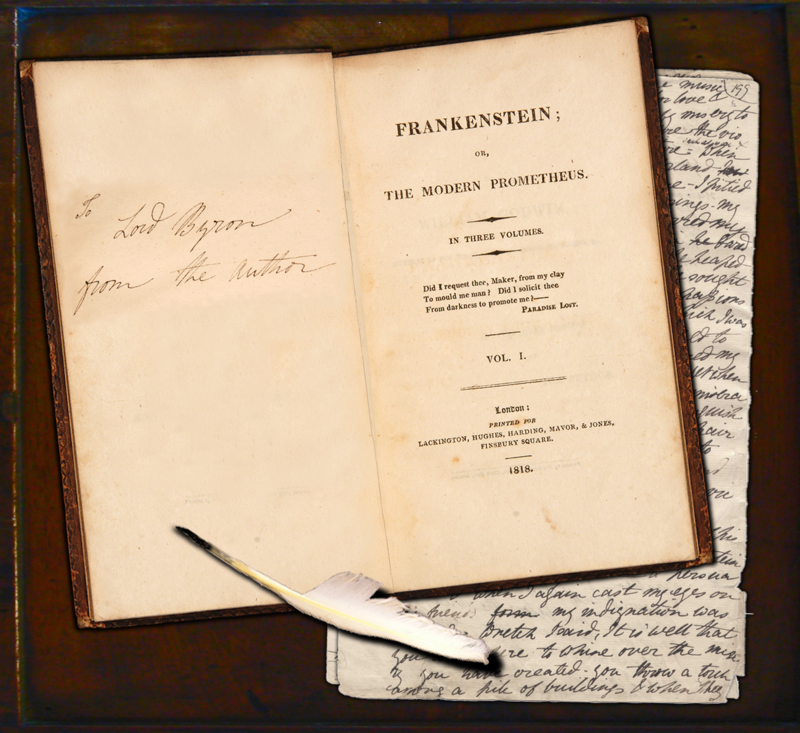 Mary Shelley’s ghost story had begun and the tale of Frankenstein was born. Now that her story has been told, I am ready to travel back to that blustery evening at the Villa Diodati. It will be a dangerous night to travel to, but the food should be worth it. 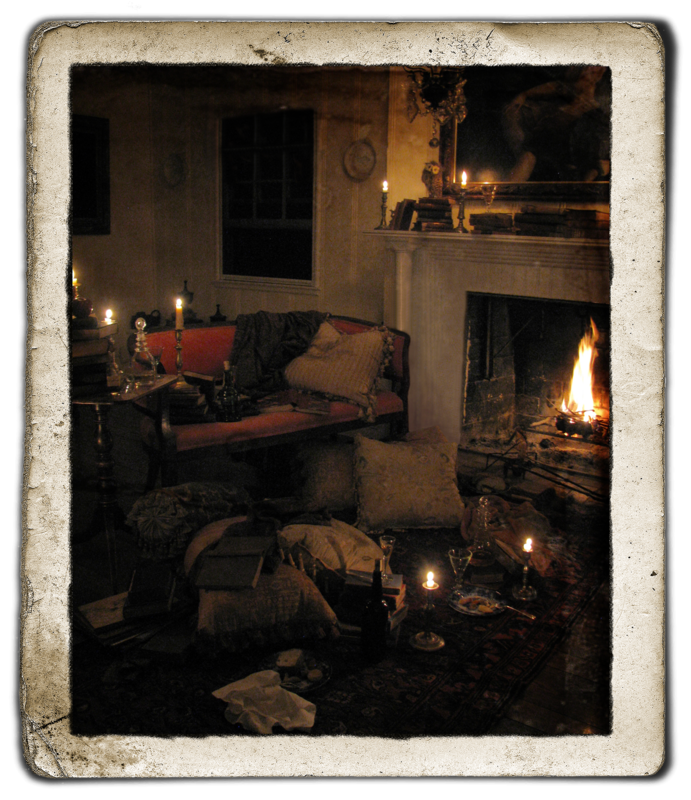 In a surreal atmosphere ripe for imagination, Lord Byron challenged his guests to each write a ghost story. It was well past the witching hour when Mary Shelley finally placed her head upon her pillow for a night’s rest. 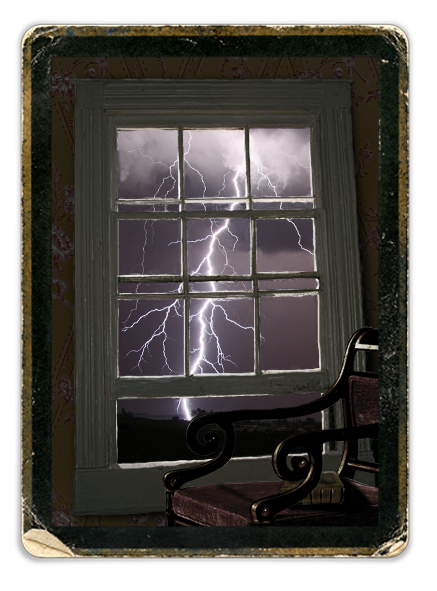 Storms rippled across the lake and lightning strikes illuminated her windows momentarily before plunging them back into pitchy darkness. This is my journal, a timeline of my temporal travels. You may consider each entry as an installment in the continuing narrative describing my world and my voyages. I am a Temporalnaut, a Time Tourist if you will. I choose to visit the past and explore dining in history. All food has a tale and surrounding each meal are the stories of the illustrious as well as the infamous of history and legend. You see, where I come from, time travel is common and legend is real. I choose a different story and a singular meal to visit in each voyage to the past. I will chronicle these excursions within this journal and share with the reader photographs, musings and of course the food that I encounter. If you are curious as to how the journey started or what this is all about, I suggest you begin at the beginning. 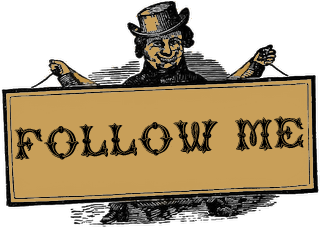 The "infinite scroll" mechanism on the right side of this electronic journal will allow you to follow my story from its introduction, or you may simply choose to visit the archives contained under the "Voyages" area.